Young Tiger NTR’s upcoming action entertainer ‘Dammu’ is shaping up well and the movie is being directed by Boyapati Sreenu. The duo are extremely serious about scoring a massive blockbuster with this movie. Boyapati Sreenu is utilizing NTR’s commercial elements to the fullest in this movie. 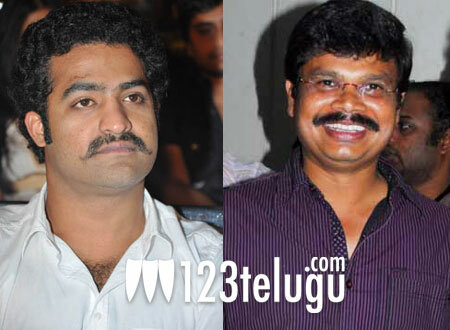 Sources familiar with the movie say that NTR is working extremely hard along with the director. The movie is currently being shot in Pollacchi and surrounding areas. A major action sequence is being planned in Mysore in December. Dammu is going to hit the screens in Summer 2012. Music is being scored by M.M.Keeravani and Alexander Vallabha is producing this film. Shruti Haasan was the original heroine for this movie, but she was replaced with Trisha due to lack of dates. Kartheeka is the second heroine.